I once asked one of my non Bengali friends to write me down a list of the so called ‘Bong Cliches’. Yes the ones we are silently proud of but tired of hearing nonetheless. The attributes and adjectives that have made our Tagore fed clan a well defined bulge on the face of this big wide universe. As you can already imagine ‘exaggeration’ has to be one of the entrants to the list. An expected and predictable list so far with a preponderance about food and laze , he surprised me with his next entry. 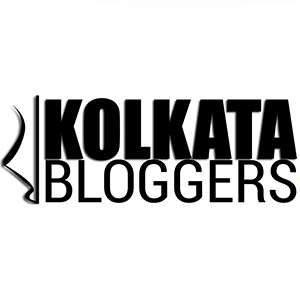 So what exactly is a Macher Bajar or a Fish Market on Kolkata? Quite literally a market where fishes in all shapes, sizes and forms are sold by local vendors at particular times of the day. A special spread is laid on Sundays and during festivities with options, prices and madness amped up in all the fairness. It is war. Period. The energy, enthusiasm and nervous excitement is almost infectious! Larger than life ‘Boti’ s, the uninhibited shouts and calls from the vendors and the relentless shopper who is just not ready to give in. It surely is a battlefield. The ‘Robibar’ er Macher Bajar ain’t for the faint hearted. Rethink and rewrite your mental imagery of a docile Bengali in this particular circumstance. Pretty simple. While some go fish hunting every single or alternate days as refrigeration tampers with the optimum sweetness and freshness of their Mach (fish), the others reserve the weekends especially Sundays for food for the stomach and soul. If you notice carefully the shoppers according to their age, experience, individual mindsets and economic status fall into various categories. They are the no-nonsense types. Much like speedy delivery and prime members they know exactly where when and how to get the best deals without much excercise of their vocal cords or limb muscles. Mostly seen at the closing time or end of months, they are the classical opportunists. With the exact words and negotiations they will sneak in the lowest possible deal without you would know. Their nascent and naive pulse is palpable almost awkward amidst the roaring bustle. Sheepish moves, meek requests, judgemental glances from fellow veterans and vendors alike, well it is a hard learning curve for them. Well they are the Big Bosses. The Mafia gang of the Mach Market. They have known and seen it all. Perhaps many of them just lurk around to ‘monitor’ the proceedings. Cheekily passing expert opinions and sarcasm alike, these folks are often found sipping on their ‘bhar’ er cha in a strategically placed tea shop. • Some prefer fish without fat and eggs while others buy them separately for typical Bengali recipes. • Khoka Ilish is a big no no. ‘MOURALA’, ‘PUTI’, ‘BELE’, ‘BATA’, ‘KOI’, ‘SINGHI’, ‘MAGUR’, ‘PAPDA’. Oh! and of course, there’s Ilish and Chingri, our precious! • The quintessential striped Bajar er Jhola with a few extra plastic bags just to be sure. • Umbrella and water if you are planning to make it a long excursion. • The grit and determination of a Ninja. If you ask me, a weekly excursion to a Fish Market in Kolkata is no less effective than booking an appointment with your therapist. The kind of interactions, behaviour observations and social insights it brings in is invaluable. Who knows you can also make a friend or two over a favourite fish and post Bajar cup of tea. Let us call them the Mach Mates. No age, no religion, no intentions just the love for a good food on your plate and a well spent morning. I just loved your humour. Such a fun read ! The pic of the ‘no-nonsense shopper with the cap’ reminds me of my father. He does his macher bajar thrice-a-week and always flaunts the catch-of-the-day like a medalist, back-at-home. Loved the fine details in your write-up. 🙂 Off-topic: That green top is so lovely. Ha ha yes it is so relatable at so many levels. I love my comfy fotua too! Hey thanks. It is indeed relatable at so many different levels.